La Leche League of North Carolina – All breastfeeding mothers and mothers-to-be interested in breastfeeding are welcome to come to meeting or call a Leader for help or information. Freeman Lactation Services – Cindi Freeman, IBCLC-Certified Lactation Consultant in Cary, NC. 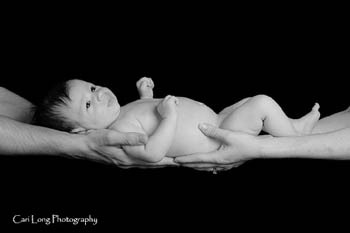 Tranquil Birthing – Hypnobabies classes in Durham, NC. Nursing Mothers of Raleigh – Experienced, trained counseling mothers sharing with others. 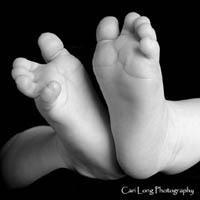 Cari Long Photography – Maternity and infant photography in Apex, NC. The Coalition for Improving Maternity Services – Promoting the care and well-being of mothers, babies, and families. Mothering magazine – The magazine of natural family living. Childbirth Connection – Helping women make informed decisions. International Cesarean Awareness Network – Improving maternal-child health. Hypnobabies – Enjoy your baby's birth, in comfort, joy, and love. Women’s Birth & Wellness Center – An alternative to hospital birth. La Leche League International – Breastfeeding information for parents. Midwives Alliance of North America – Representing the Profession of Midwifery. Calm Birth – A new method for conscious childbirth. KellyMom - evidence-based breastfeeding and parenting. Spinning Babies - easier birth with fetal positing. Cochrane Review on Effects of Continuous Support, New Cochrane Review through the Maternity Center Association, July 2003. Listening to Mothers II: Report of the Second National U.S. Survey of Women's Childbearing Experiences, Childbirth Connection, 2006. Caregiver Support for Women During Childbirth: Does the Presence of a Labor-Support Person Affect Maternal-Child Outcomes?, American Family Physician, October 1, 2002 . Lying in, Canadian Medical Association Journal, September 17, 2002 . Care of Women in U.S. Hospitals, 2000, Agency for Healthcare Research and Quality, October 2002. The Thinking Woman’s Guide to a Better Birth, Henci Goer. The Ultimate Breastfeeding Book of Answers, Dr. Jack Newman. The Birth Partner: Everything You Need to Know to Help a Woman Through Childbirth, Second edition, Penny Simkin. The Breastfeeding Answer Book, Nancy Mohrbacher. Pregnancy, Childbirth, and the Newborn, Revised and Updated, The Complete Guide, Penny Simkin. Ina May’s Guide to Childbirth, Ina May Gaskin. Back Labor No More!! What Every Woman Should Know Before Labor, Janie McCoy King. The Birth Book: Everything You Need to Know to Have a Safe and Satisfying Birth, Martha Sears, William Sears.